Under the Nigerian Law, there is a list of people you cannot marry. That list is treated in this article. For your information, your cousin is not on the list. That is not true. Unfortunately, he lived with this self-inflicted challenge for four years before he finally discovered that he can actually marry his cousin validly under the Nigerian Law. Well, I do not know if they lived happily thereafter considering the pressure that came from their native law and custom. The truth still remains that they have done no wrong under the law. The second was a radio program where a woman called in to say that she was in love with her father in law and wanted to marry him. Though people responded on moral grounds but legally speaking, as a general rule, she cannot marry her husband’s father however, she can if she fulfils one condition. The Matrimonial Causes act which is one of the laws regulating marriage in Nigeria provides for two types of people one cannot marry. 2. People you are in the prohibited degrees of Affinity with. If you go into Marriage with any of these people, your marriage will be void in the case of number 1 above and may be void in the case of number 2 above. Where parties to a marriage are within the prohibited degrees of consanguinity, the marriage is void. This means that the law does not recognise it as having existed at all. His: Ancestress, Descendant, Sister, Father’s Sister, Mother’s Sister, Brother’s daughter, Sister’s daughter. Any marriage that involves any of the parties above is void. The law also provides for the type of relationships that fall under this category. 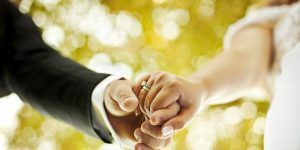 However, the law makes it flexible and provides that you can indeed marry a person who you share this kind of relationship with if you obtain permission from a Judge. It provides thus: Where two persons who are within the Prohibited degrees of Affinity wish to marry each other, they may apply in writing to a judge for permission to do so. If the Judge is satisfied that the circumstances of the particular case are so exceptional as to justify the granting of the permission, the Judge will grant it. The law under this prohibits a man from marrying his Wife’s mother, Wife’s grandmother, Wife’s daughter, Wife’s daughter’s daughter, Wife’s son’s daughter, Father’s wife, Grandfather’s wife, son’s wife, son’s son’s wife, Daughter’s son’s wife. It prohibits a woman from marrying: Husband’s father, Husband’s grandfather, Husband’s son, Husband’s son’s son, Husband’s daughter’s son, Mother’s husband, daughter’s husband, Son’s daughter’s husband, Daughter’s daughter’s husband. In view of the above provisions of the law, there is nothing prohibiting a person from marrying his/her mother’s or father’s brother’s/sister’s child (His cousin).It is totally within the law and very legal and valid if you desire to marry your cousin in Nigeria. On the other hand, as a general rule, a woman cannot marry her husband’s father. However since that relationship falls within the prohibited degree of affinity, any woman who desires to marry her husband’s father or any man who desires to marry his Son’s wife must obtain permission from a Judge to do so and furnish very good reasons why such permission should be granted. My mother brother can I marry his daughter? My mother brother can I marry his daughter in Nigeria? Can a woman marry her uncle? I want to know if it is lawfully permitted in Nigeria for a lady to marry her uncle; giving that the delineation of “uncle” is vast and very extensive, and that in some cases the age of a person who falls to be called an uncle may not always be much more than ours. Your prompt response, with legal REFERENCES, if possible shall be appreciated. Can I marry my father’s half brother’s son….my father and his father (my uncle) are of same mother but not same father..